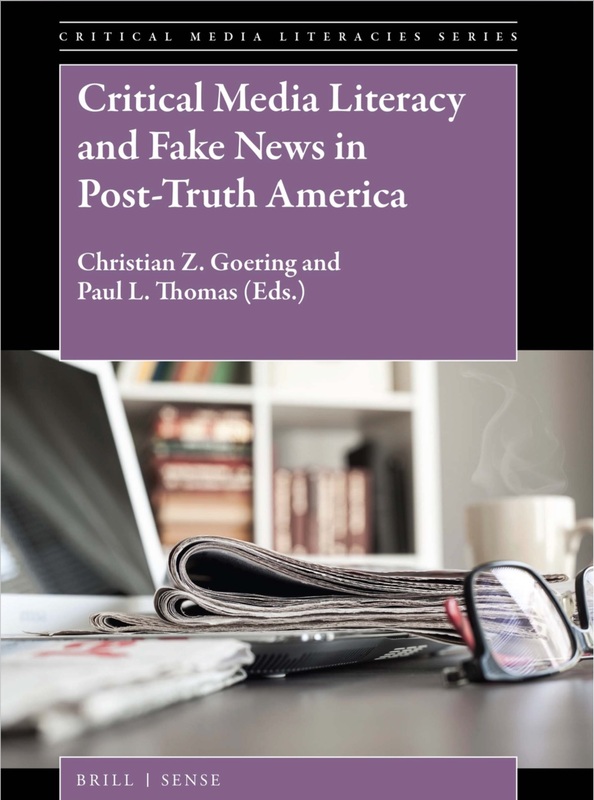 “Critical Media Literacy and Fake News in Post-Truth America” has won the 2019 Divergent Award for Excellence in 21st Century Literacies. 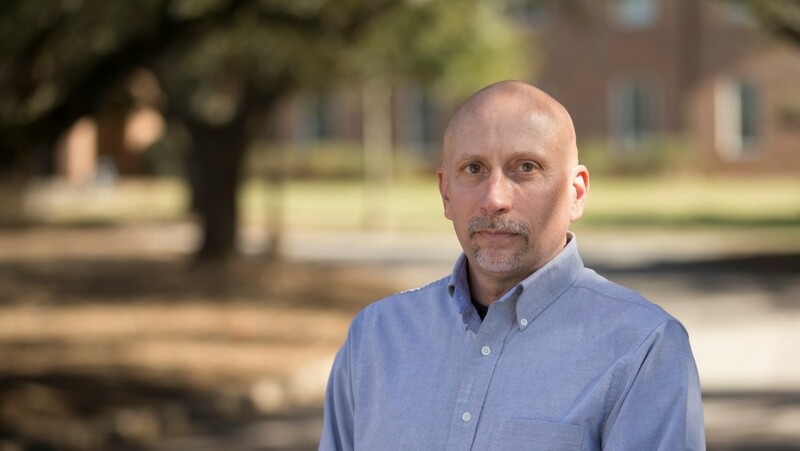 Furman Department of Education Professor Paul L. Thomas has received the 2019 Divergent Award for Excellence in 21st Century Literacies for his collection of essays “Critical Media Literacy and Fake News in Post-Truth America” co-edited by Christian Z. Goering at the University of Arkansas. The essay collection has received the 2019 Divergent Award for Excellence in 21st Century Literacies. Published by Brill/Sense in 2018, the book is one of two selected for recognition this year from a “record number of book nominees,” according to the award selection committee at the Initiative for 21st Century Literacies Research. Thomas and Goering will be recognized for their work during the 21st Century Literacies Lecture Series scheduled for early 2019. Before joining the Furman faculty in 2002, Thomas taught high school English in rural South Carolina. He earned his undergraduate degree and advanced degrees in education from the University of South Carolina. He is a former column co-editor for the English Journal, a publication of the National Council of Teachers of English, and series editor for “Critical Literacy Teaching Series: Challenging Authors and Genres” (Brill/Sense Publishers), for which he authored the first volume –“Challenging Genres: Comics and Graphic Novels” in 2010 and co-edited a volume on James Baldwin in 2014. He has published books about Barbara Kingsolver, Kurt Vonnegut, Margaret Atwood, Ralph Ellison, James Baldwin and Haruki Murakami; and his recent books include “Trumplandia: Unmasking Post-Truth America” (Garn, 2017), “De-Testing and De-Grading Schools” (Peter Lang USA, 2016), “Pedagogies of Kindness and Respect: On the Lives and Education of Children” (Peter Lang USA, 2015) and “Beware the Roadbuilders” (Garn, 2015). He was the 2013 recipient of the George Orwell Award presented by National Council of Teachers of English, and has written commentaries for the Washington Post, The New York Times, The Guardian, Education Week, The State and The Greenville News. For more information, visit www.initiativefor21research.org. Or, contact Paul L. Thomas at 864-294-3386, and paul.thomas@furman.edu. To diverge from traditional pedagogies and research approaches and to embrace the spirit of following a road less traveled, the Divergent Award for Excellence in 21st Century Literacies was established in 2016 by the Initiative for 21st Century Literacies Research to recognize the indelible contributions of educators and scholars who have dedicated their careers to the theoretical and practical study of 21st Century Literacies.